InitLive helps you recruit the right talent and roster your event in the half the time. 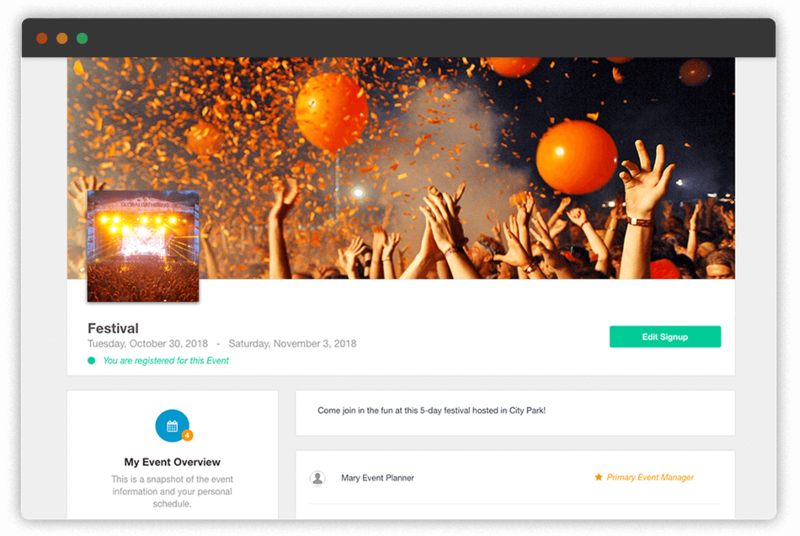 Attract volunteers and fill your event needs fast with an inviting event registration page, intuitive signup process and more. 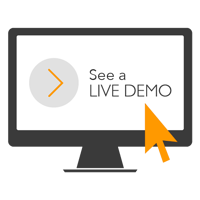 Watch a demo of InitLive to learn how InitLive will help you build up your staff list in half the time! Give prospective volunteers the ultimate first impression. Create an attractive public event page in minutes to accurately convey your brand with important details, event profile and cover photos, and messaging. Have several events that you want staff in your organization to signup for? Display multiple signup opportunities for staff to see whenever they sign-in. Leverage a signup workflow that reduces your administrative workload by eliminating volunteer confusion. 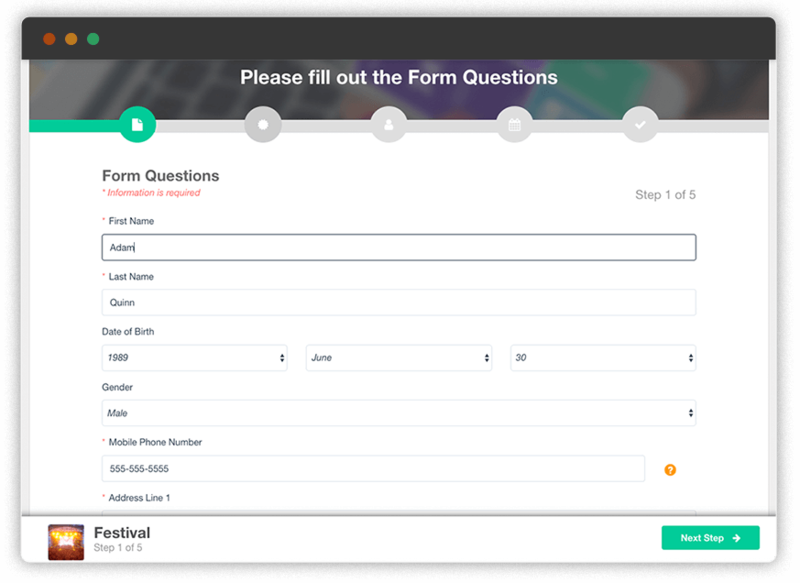 InitLive’s step-by-step signup process is designed to be simple - even for your least tech-savvy volunteers. The needs of every event are different. Include waivers & custom questions for your registration form (i.e. allergies, availability, etc.) to collect the info you need to optimize shift assignments & staff experience while meeting legal requirements. Never waste time chasing staff & volunteers for completed waivers and additional information. Use InitLive to customize your signup process to collect everything you need at once. Repetitive form filling for returning volunteers can be a turn-off. Once volunteers have provided their information through a signup form the first time, the same fields will already be pre-populated when signing up for more opportunities. Already have a staff list that you want to start managing better? 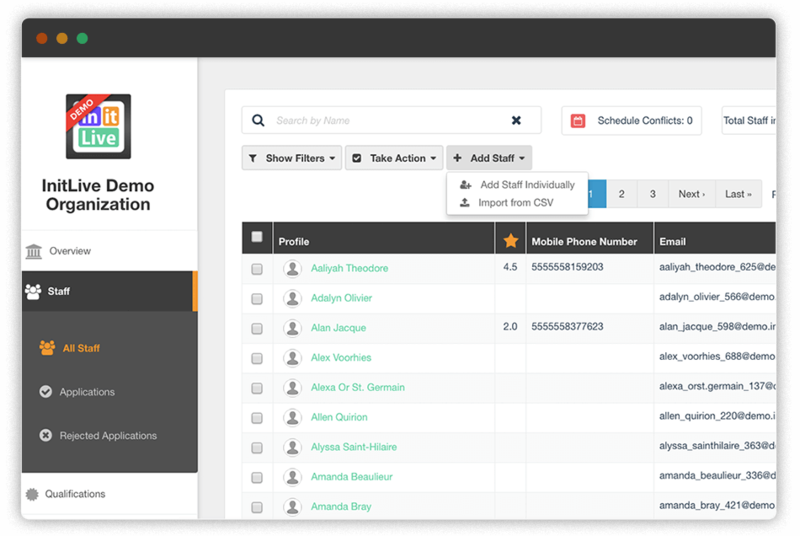 Upload them to your InitLive database to start scheduling and communicating with them immediately. Whether you want to allow prospective volunteers to completely self-serve (select their own roles, qualifications, availability, and shifts), or you only want them to fill out a form, toggle on or off the steps that are most important to you. Unfortunately, not everyone is a good fit for your team. Set up an application process for staff and volunteers to become a part of your organization’s staff list. As people apply, quickly accept or reject applicants from your application list. Make your signup opportunities easy to find by sharing them everywhere! With every signup page you create, InitLive generates a custom signup URL for you & your volunteers to share on your website, social media platforms & print media. You may have a large staff database, but are unsure who would want to work a certain event. 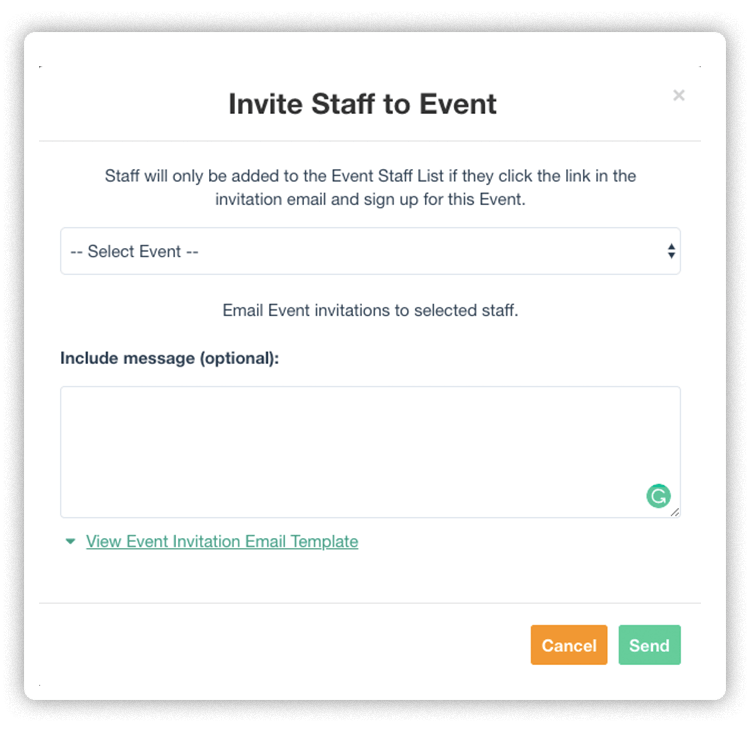 Use InitLive to send staff custom email invitations containing your signup link. When your organization has many events to fill, certain opportunities can get lost in the shuffle. Use InitLive’s Opportunity listings to have additional signup opportunities appear when your volunteers login.